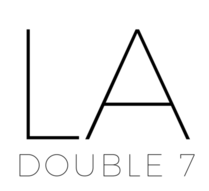 Outerwear – LA Double 7, Inc.
Make this your new go-to layering accessory! Decorated with a charcoal-and-black chevron print, and embellished with hanging tassels along the edges. Made of a thick acrylic-fabric, although feels like a warm wool material. Have fun with your accessories and keep warm by wearing this must-have poncho wrap. A perfect pick for layering, this cozy knit ruana drapes easily over any outfit. Geometric patterns are great for adding style and dressing up casual looks. This wrap features shades of grey and black in abstract lines throughout. Composed of a luxe acrylic blend fabric to complete the design.